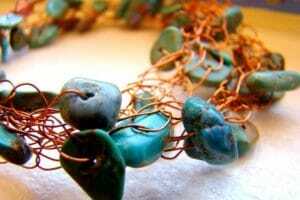 ParaWire’s Amber wire offers more than just the soothing, warm glow of the stone by the same name. 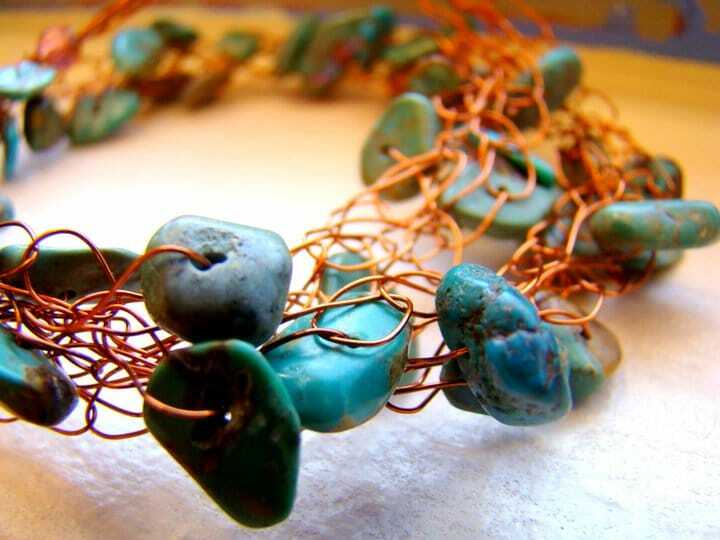 Our colored jewelry wire is perfect for 100+ wire art techniques. 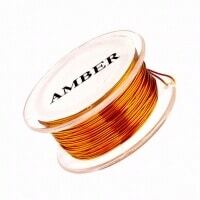 Amber wire has a natural and organic look that’s perfect for wire wrapping gemstones and for many more techniques. 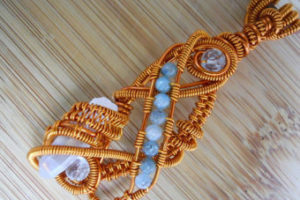 Create the design of your dreams with our buttery soft craft wire! Comes in 12-32 gauge. Our exclusive coloring process produces the brightest colors with the most resilient finish. 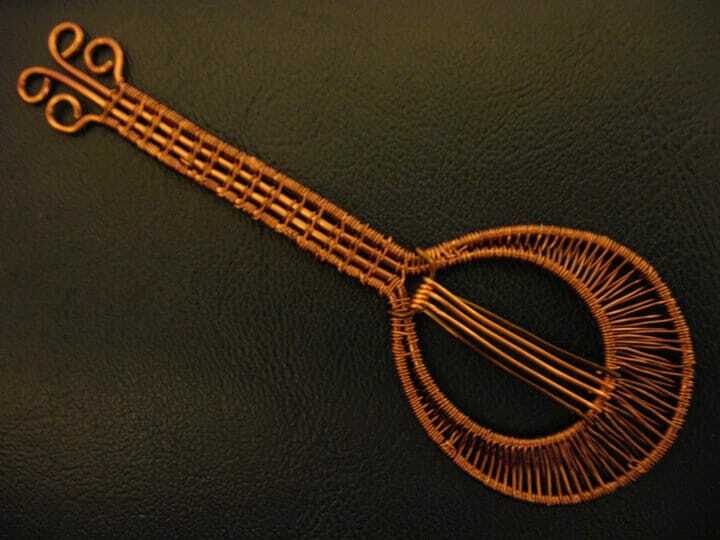 Metallic colors like our Amber color are 99% pure copper wire with ParaWire’s exclusive non-tarnish coating. 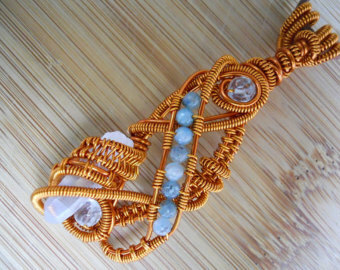 Find more Amber wire jewelry styles in our ParaWire Showcase. 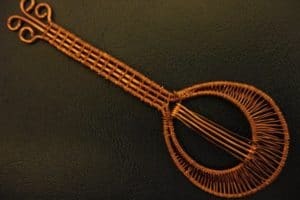 I use this in my wire trees. I like to mix it with the Smokey Quartz/Antique Copper and Brown for the trunk. . Thy are easy to work with, love the colors and they never chip. Always use ParaWire and have never been sorry. I love using this color specially around Halloween when I make chainmaille pumpkins.